Sonic Paragon is a satisfying set grounded in the idea of broad appeal. Drummer Jay Lawrence is no purist, and he's certainly not stubbornly set on a single course, yet he's wholly cognizant of the fact that music is both for the makers and the takers. And with an understanding of that need for balance and some help from a real dream band, he creates a program that basically works for both sides of the fence. 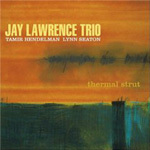 Opening with his own breezy "Full Moon In Havana," Lawrence immediately establishes a mellow vibe while showcasing an easy rapport with bassist John Patitucci, pianist Renee Rosnes, guitarist Romero Lubambo, and tenor saxophonist Harry Allen. All, save for Lubambo, who alternates guitar duties with Anthony Wilson or Yotam Silberstein, remain for the entire show. As the program continues, Lawrence branches out along various central avenues. First he breaks up the melody of Irving Berlin's "What'll I Do," using it as a small showcase for his brushes before settling into a coolly swinging lane; then he brings guest trumpeter Terell Stafford into the fold for the spicy "Vamonos" and the laid back "Slide"; and after that he adds some rhythmic zest to an Allen-fronted take on Leonard Bernstein's "Maria," essays quietude with positive results on "Dayspring," and opens bluesy funk nugget "From Nadir To Zenith" with a slight futurist's feel. In most of those aforementioned instances the music runs down the middle and everybody paints mostly within the lines, but that's the real beauty of it. 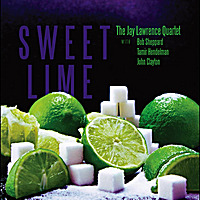 Whether taking a stroll through NOLA by way of "Tchoupitoulas," pulling Jimi Hendrix into the jazz orbit with a personalized slant on "Crosstown Traffic," or delivering any number of engaging originals, Lawrence and his A-Team find a way to enjoy themselves without pushing the music toward the outer limits. This is pure musical variety wrapped in accessible language. Track Listing: Full Moon In Havana; What'll I Do; Vamonos; Slide; Maria; Dayspring; From Nadir to Zenith; Sonic Paragon; Tchoupitoulas; Golden Ratio; Crosstown Traffic; My Winsome Consort. 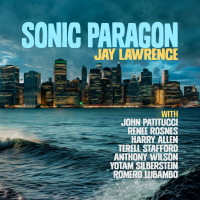 Personnel: Jay Lawrence: drums; John Patitucci: bass; Renee Rosnes: piano; Harry Allen: tenor saxophone; Terell Stafford (3, 4, 7, 9); Romero Lubambo: guitar (1, 5, 6); Anthony Wilson: guitar (2, 4, 7, 8); Yotam Silberstein: guitar (3, 9-11).